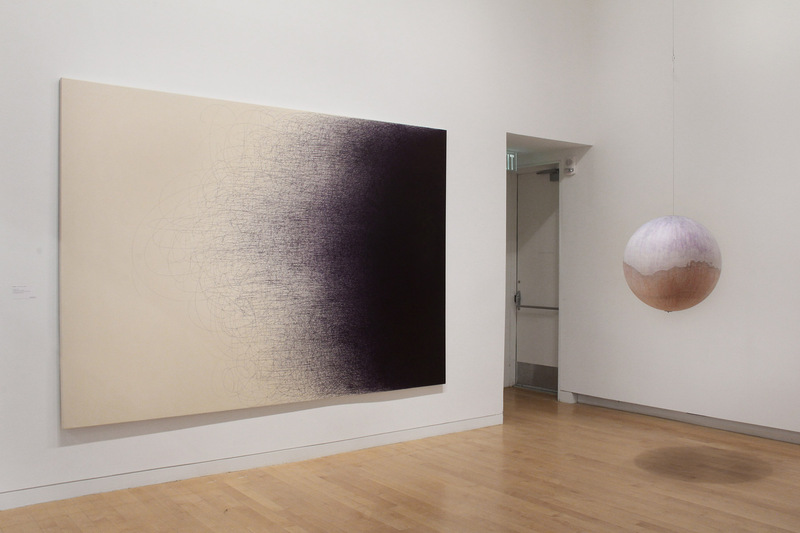 Installation view of Il Lee’s BL-120 (2011, ballpoint ink on canvas, 82 x 117 inches) in Extreme Drawing–Ballpoint Pen Drawing Since 1950 at The Aldrich Contemporary Art Museum, CT, 2013. Photo: Chad Kleitch; Courtesy of The Aldrich Contemporary Art Museum. Participating artists: Rita Ackermann, Bill Adams, Alighiero Boetti, Dawn Clements, Russell Crotty, Jan Fabre, Alberto Giacometti, Joanne Greenbaum, Martin Kippenberger, Il Lee, and Toyin Odutola. With the rise of anti-art movements such as Fluxus in the 1960s, a number of notable artists made drawings using the ballpoint pen. The last decade has witnessed a steady increase in artists drawing with the pen, using approaches from the abject to the sublime.